I was told that I couldn't be a jack-of-all-trades. Doing so would mean that I would be equally mediocre in everything instead of master-of-one thing. I understand the point. I see where many were right in regards to aspects of my work. Yet, I still disagree. Here's why. When you are an insatiably curious maker who must use their hands and their brain in equal measure than you cannot sit down to do the same thing every day. Perfection, mastery, supremacy in the field - these are not their goals. We must explore new materials. We must try new routines. We must indulge our hands when they yearn for craft instead of a keyboard and mouse. This is one of my indulgences. I share it because it's different. A little peek at what I do with my time when I'm not designing or drawing or researching. 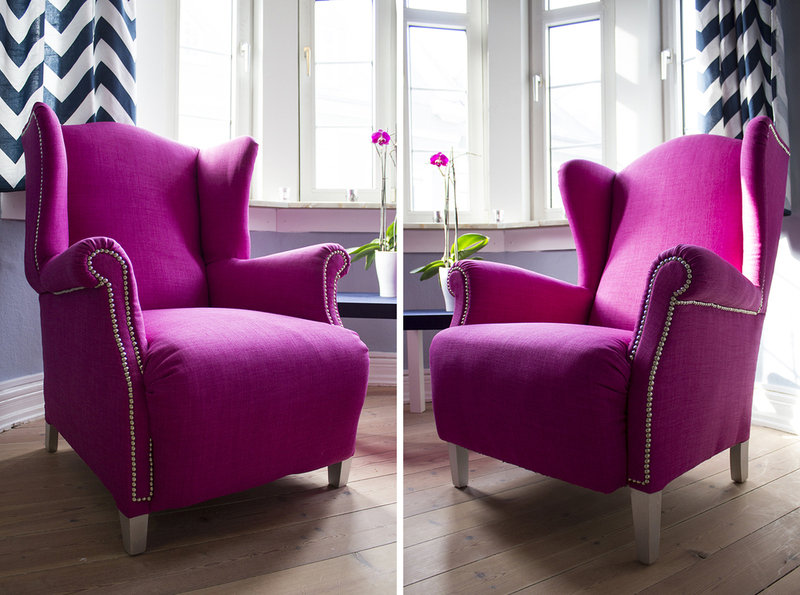 One of my dear friends wanted two magenta wingback armchairs for her living room. I wanted to learn how to reupholster. It was the perfect opportunity. Together, we pulled staples, ripped dusty fabric, and stripped the chairs to their wooden bones. The cousin chairs, before. Slightly different framework, but close enough for our purposes. The final result was visually quite stunning. 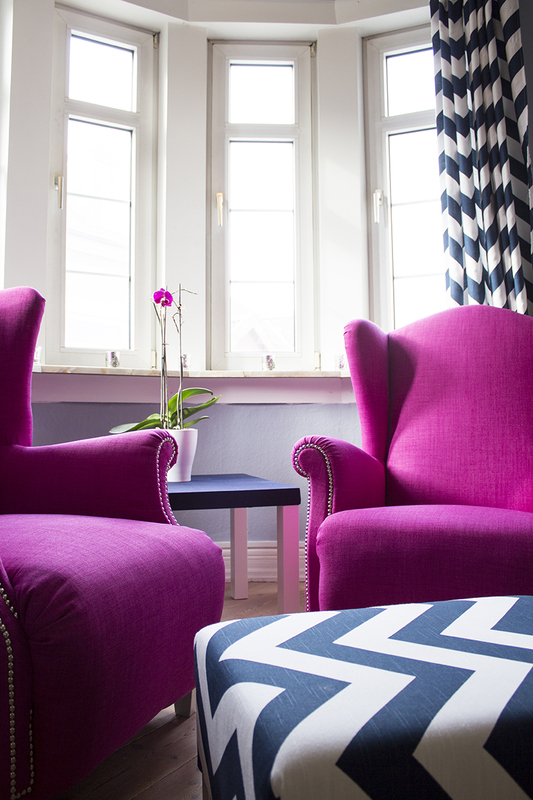 She picked a lovely slate-blue for the walls that let the magenta pop in the room. The chairs were definitely a test of patience. The entire project took us roughly 4 months to finish - longer than almost any project I've worked on. It taught me how to slow down - forget the instant gratification of finishing a project. It's lessons like this that keep me creatively fluid. When I need to step away from the computer or put down my pens, I'll pick up a hammer or a paint brush. Maybe it's the switch from minuscule, methodical details to large, highly tangible materials that helps my brain breathe and my muscles remember that they can do more than sit. Whatever the reason, I fully embrace it.